Welcome to Share it One More Time Features and Party. I hope your week was great and your weekend is even better! Can you believe it's already time for another Share it One More Time Features and Party to share all your great projects and ideas? This week has flown by for us as we have been busily working outside getting some much needed Spring projects done. I swear we get one project done and it seems like 10 more pop up on the to do list. Is it like that for you? I was able to get a couple of projects done that I'd like to share with you though. 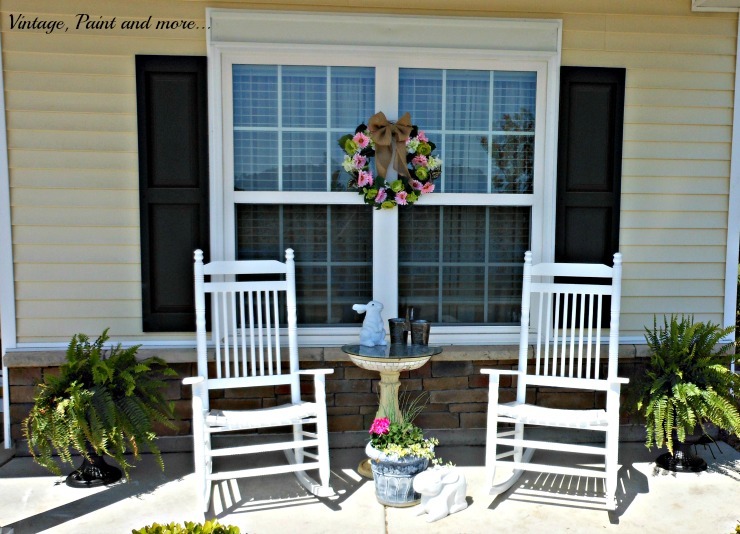 our front porch where we like to sit and enjoy the sun and breezes of these lovely Spring days when we're not planting, raking or doing other projects on the list. But soon that will all end as the heat of the south will become too much for me to work outside much and I will be driven indoors to do projects in there. So enough about me - let's get on to the party and my what a party it was last week. It was amazing and filled with so many great ideas, recipes and projects. You all continue to amaze me each week. Thank you so much for sharing your awesome creativeness. I love it. On to this week's features. I love this framed art but you have to go visit Armchair Decorator Blog to see what it's made from - I simply can't believe it was so simple. I will never look at a t-shirt the same again. Do you need lighting in your home? Then check out My Thrift Store Addiction to see what creative lighting she has in her home. You'll looking at things a little differently when you see what she used. 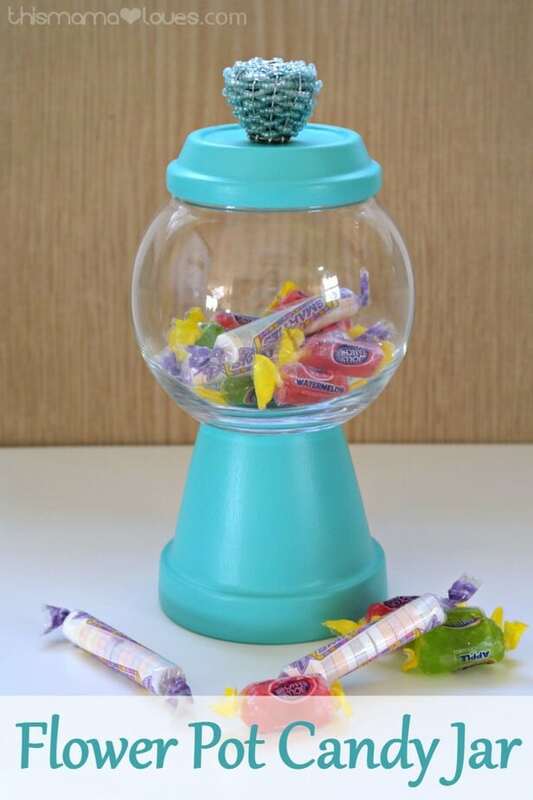 Talk about cute - check out this adorable little candy jar that This Mama Loves made. I know my grands would love this - but wait, so would I.
Purple Hues and Me and has done it again this week with this adorable flowering watering can made completely from recycled materials. Who would have thought a plain tin can could look so good. 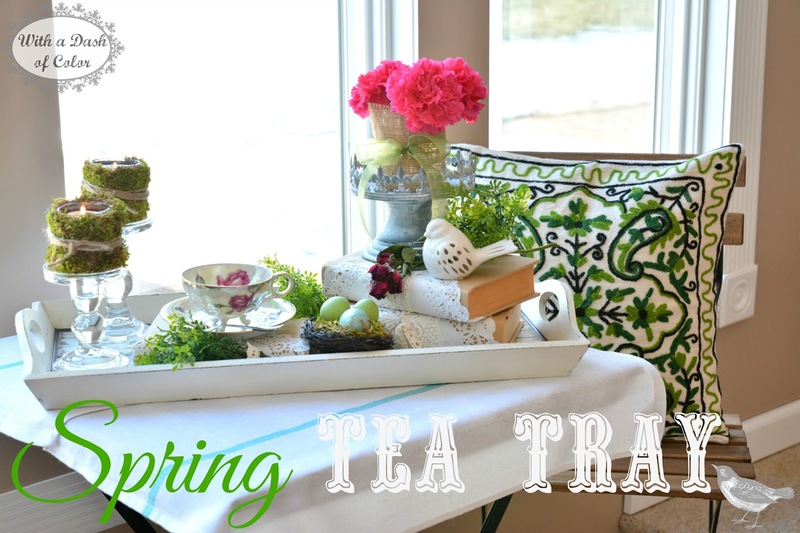 With a Dash of Color has set the most gorgeous tea tray. Oh how I would love to wile away the afternoon here sipping and chatting. Just gorgeous. 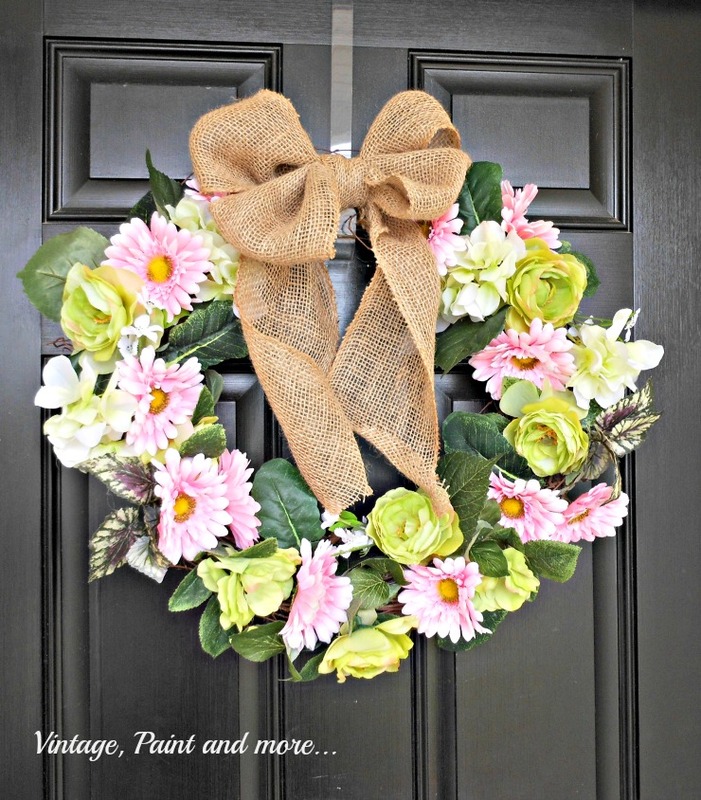 Do you remember those old transfer patterns your Mother or Grandmother used to use. 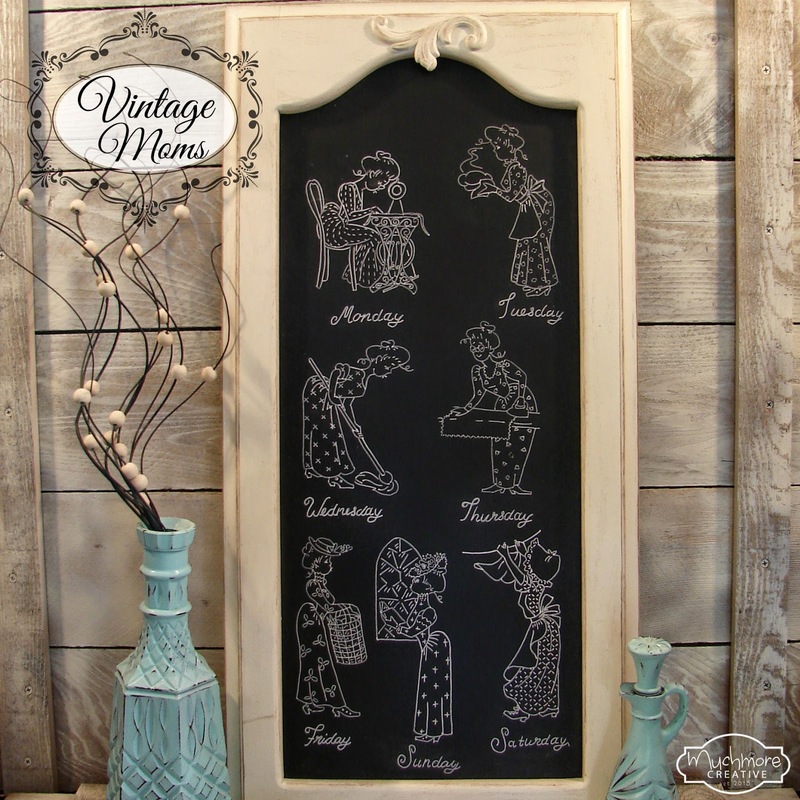 Well, Much More Creative has put them to good use in her chalkboard art. Isn't that the cutest. Thanks so much for hosting each week and thanks for dropping by! Thanks, Cathy, for featuring my watering can flowerpot! It's truly an honor! And thank for hosting another fabulous party . . . I always love joining in!